The Skripal poisoning. It may seem like dated news but, surprisingly, nothing seems to have been solved. The bodies of Mr. Sergei Skripal (66), a former Russian spy, and his daughter Yulia Skripal (33) were found lying unconscious on a bench in the city of Salisbury on Sunday, 4 March. Shortly after British Prime Minister Theresa May claimed it was a Russian-made chemical which was used to poison both individuals, more commonly known as the nerve agent Novichok. The complex series of events which occurred immediately after the bodies were located can now be regarded as common knowledge given every British news-outlet reported the story extensively. The political stalemate which followed the hospitalisation of the Skripal’s draws parallels with that of a Cold War film scenario. 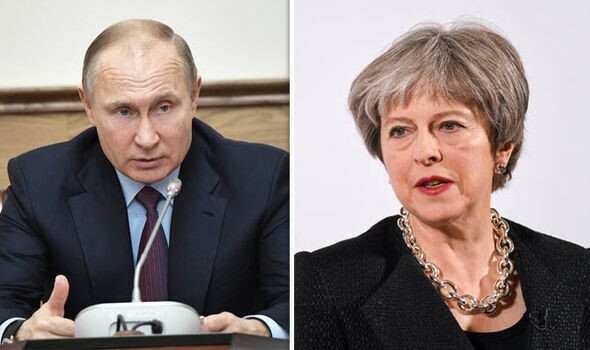 Theresa May proceeded to expel 23 Russian diplomats along with their families – despite not having any hard evidence linking Moscow to the poisoning. Similar actions were witnessed across 29 countries, including the US, with 145 Russian officials dismissed in unity with the UK. Russia reacted in a similar manner while also closing down the British Consulate in St Petersburg and halting the British Council operation in Russia. In conclusion, utter dilapidated relations with Russia. In view of this one must ask – was it even worth it? Or, moreover, does it even add up? If we are to examine the course of events in order, a key question remains unchallenged: why is Russia being blamed without any conclusive evidence? The oft-cited assertion that the nerve agent has direct links to Moscow falls short of plausibility considering the only statement regarding the agent was that it was ‘developed by the Soviet Union’ demonstrating one should be leery of such statements and immediately accusing Russia. Moreover, according to expert observations, if the poison had indeed been used then both Skripals would have died immediately at the scene. Not only has the Skripal incident persisted for over three months but it has also cost the British taxpayer £7.5 million, an important fact which appears to be buried amongst all the vacuous prattle. However, since the start of the probe into the entire Skripal poisoning, one crucial question remains unanswered – what would Russia achieve by doing this? Given that Russia at the time was two months from the start of the 2018 World Cup and considering the Kremlin spent roughly $11 billion to host the event, ordering the poisoning of a former Russian spy on foreign soil does little to portray Russia in a positive light. Another vital piece of information concerning the case can be noted with Germany’s refusal to point the finger at Russia for the poisoning with their official line of argument being that there is ‘zero evidence’ to show Russia was responsible. As such, the extreme measures in retaliation including the expulsion of 10 Russians from a NATO mission in Belgium raises some far-reaching questions. As the mystery surrounding the poisoning deepens, as does Russo-British relations further weaken. The failure of the British government to share information regarding the case with Moscow only further highlights the irrational reaction by the UK, almost suggesting that it was simply another attempt to jump on the anti-Russia bandwagon – an ever increasing trend in the Western world. If anything this episode demonstrates that we should be ever more circumspect when reproaching other nations of wrongdoings without an ounce of proof. Despite the incident spanning for over three months, the Skripals have only recently been discharged from hospital and any form of contact between them and Russia continues to be strictly prohibited. All in all, the rash and arguably reckless reaction by the UK and her allies has essentially only succeeded in further dividing relations with Russia at a time when political cooperation should be desired, not disregarded. In view of this, one must ask themselves the question, was it all for nothing?